Many countries have dedicated road and tunnel safety authorities, which have their own fire brigade and own fire fighting equipment. Due to the special conditions under which they have to perform fire fighting, normal fire engines are not always suitable. Often the fire fighters have to bring additional rescue equipment along, giving limited space for fire fighting equipment as the vehicles used are compact and purpose built, leaving no room for a high pressure/high output fire pump and a large water tank. Firexpress is able to tailor make water tanks and integrate them with a pump driven unit so that it can be built into any vehicle that does not have capacity for a heavy duty pump and a large water tank. The mobile unit, potentially in a tailor made version with more water tanks interconnected is also an option for building into purpose built vehicles. Road and tunnel safety authorities will sometimes experience that they have to drive off the road to pass traffic jam built up after an accident. In these cases one of the Firexpress fire fighting all-terrain vehicles will make it possible for the fire fighters to reach the fire scene. With its high speed and easy manoeuvrability, the motorcycle is the optimal solution when the fire fighter faces the challenge of being a great distance away from the fire and narrow environment, e.g. congested traffic has to be navigated. Due to the limited width it can pass other road users by driving between road lanes to get through traffic jam fast. It is also used in tunnels where fires inside the tunnel causes traffic to form long queues. In some cases it is not possible to get to the fire scene with a fire fighting vehicle. In these situations the fire fighter has to carry the fire fighting equipment to the fire scene. The Firexpress fire fighting backpack is the best ergonomically solution, and leaves the hands of the fire fighter free for other tasks. 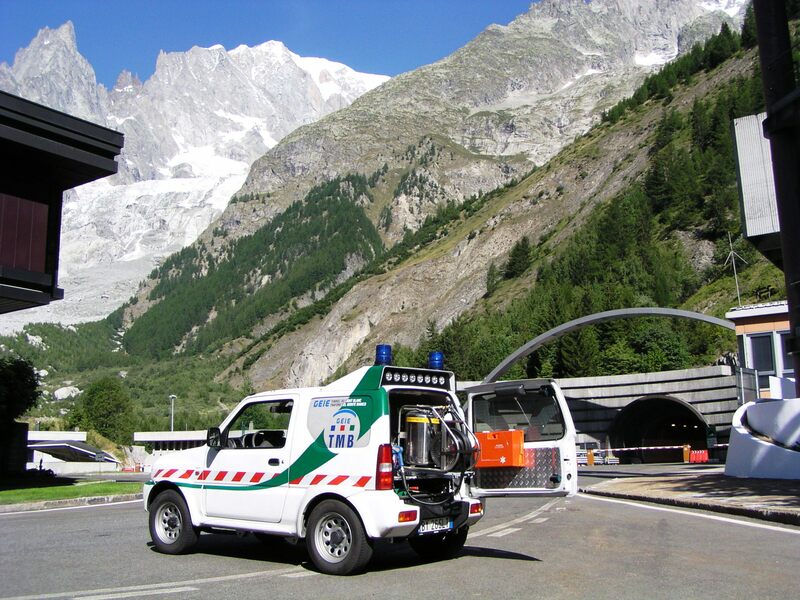 A 50 litre mobile unit in a fast response vehicle of GEIE-TMB, the public company managing the Mont Blanc Tunnel between Italy and France. 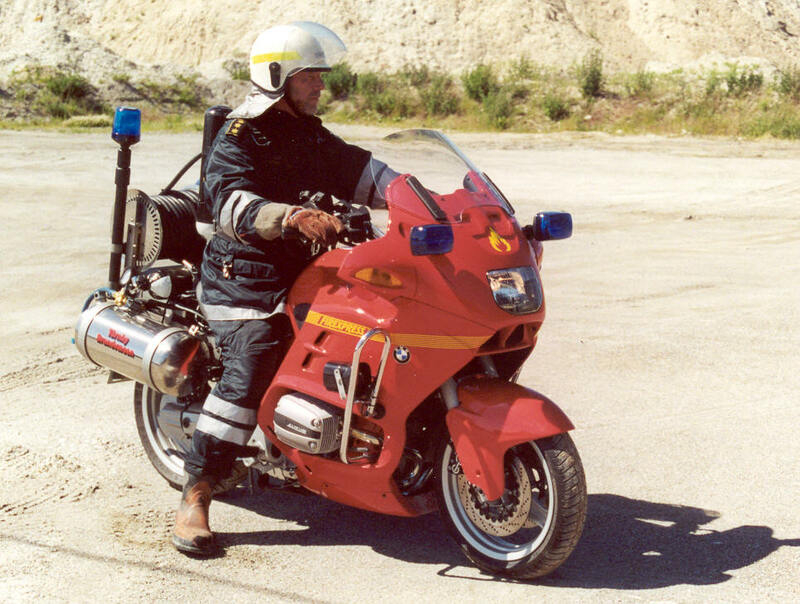 A Firexpress fire fighting motorcycle of Tarnby Fire Brigade in Denmark used in the Oresund Bridge and underwater tunnel linking Denmark and Sweden across the Oresund Strait.